Three important facts are , they will be displayed in 2018,they will use the money to preserve the shoes,and the movie was made in 1939.Two interesting facts about this article is 4 pairs of shoes for the movie and Michael Shawl was a big super fan of the movie.One question i have about this article is how much money were the shoes at auction? 1. that the shoes were stolen. 1.why are the shoes so expensive? 1)The museum got $300,000 to maintain the slippers. 2)The slippers were sold an auction in 1970. 3)The slippers were donated to the museum at 1979. 1)Shaw used to take his slippers around the country! 2)The slippers were worn by Humphery Bogart! 1)How on earth do people pronounce Smithsonian? 1 Where are Shaw's slippers? -Did Micheal Shaw get his shoes that were stolen back? 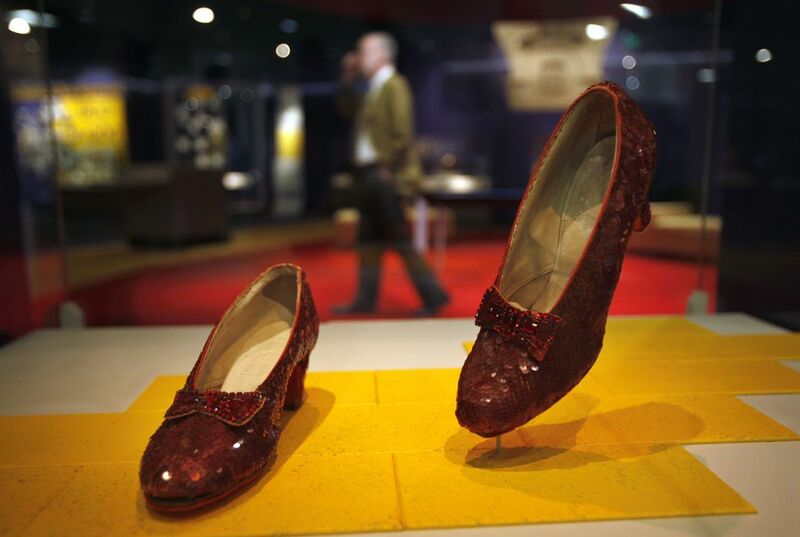 1.The Smithonian has reached its crowd funding goals to preserve the ruby slippers. 2.The movie was made in 1939. 3.They are making a new exhibit for the "Wizard of Oz"in 2018. 1.The movie was made in 1939. 2.There were four pairs of the slippers. 1.What do they mean by wanting to preserve the ruby slippers? 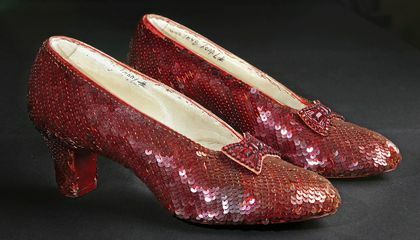 Dorothy's ruby slippers are old and need to be fixed.They will open in 2018.Michael shaw's ruby slippers are missing.I thought was interesting they earned $300,00 in a week.Another interesting text was shaw's ruby slippers are still missing from 2005.I wonder what will happen in the future? the important facts are,the wizard of oz came out in 1939,Shaw's pair was stolen in 2005,Shaw used them for dissplay and to raise money for charity,two thing I thought was interesting are, I thought there was only one pair of slippers and Shaw's pair of slippers went missing when they were on a loan to a meausem. A guestion i still have is why doesn't the meausam have the shoes on dissplay permanently? 2) $85,000 was used to care for the display of the scarecrow costume. List 2 things you found interesting from the text. 2)The other pair of ruby slippers never been found. List 1 question you still have after reading. 1)I do not have a question. Dorothy's ruby slippers are old and need to be fixed.They will open in 2018.Michael shaw's ruby slippers are still missing.I thought was interesting they earned $300,00 in a week. Another interesting text was shaw's ruby slippers are still missing from 2005.I wonder what will happen in the future?